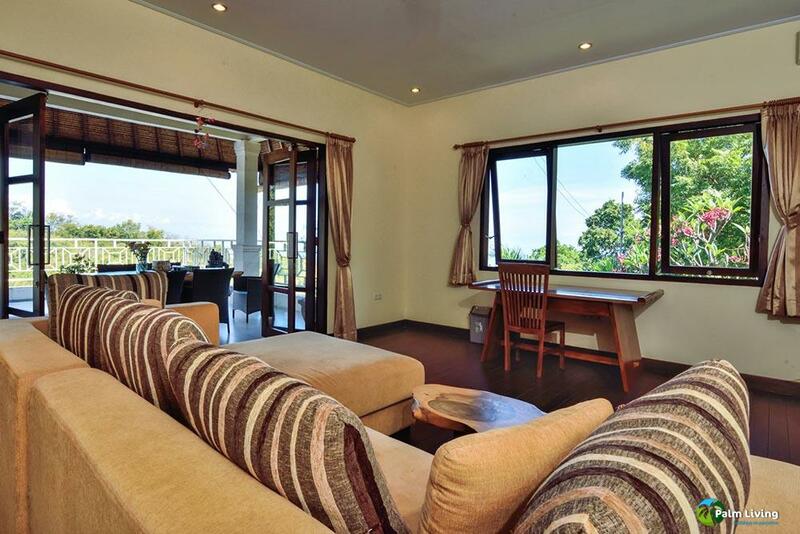 Are you looking for a beautiful and luxurious holiday villa on Bali with much comfort and a fantastic view of the sea? 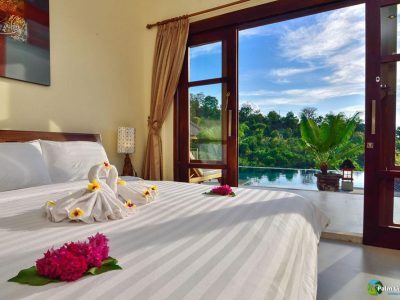 Book Villa Oscar and let yourself be pampered in this new and luxuriously furnished villa with a private swimming pool, hospitable staff and amazing views! 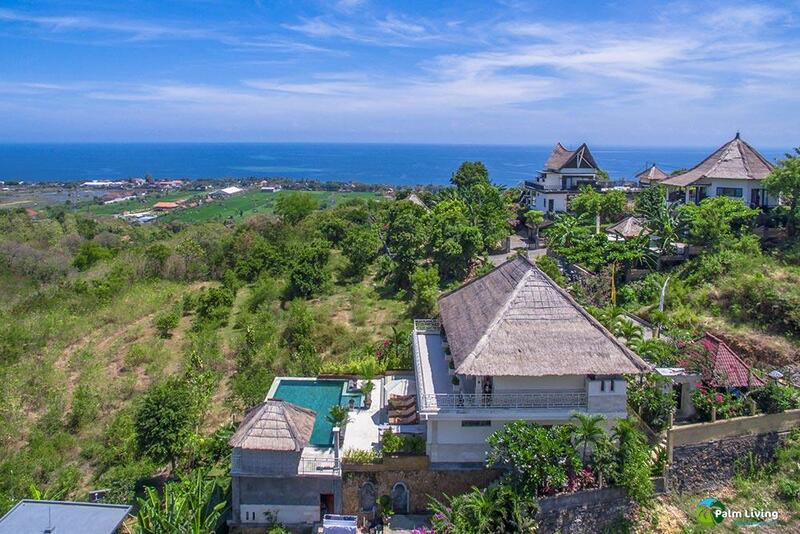 Villa Oscar is located on a beautiful spot in the hills close to Lovina, the tourist village on the north coast of Bali. 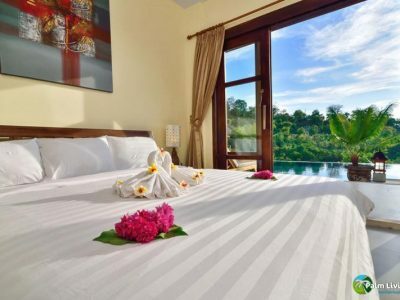 Lovina is just a 6 to 8-minutes drive away and has nice restaurants, bars and shops. 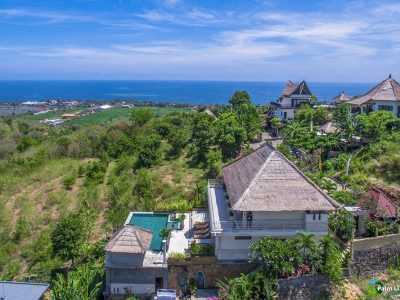 Because of the location on a plateau in the hills the villa offers breathtaking views of the green hills, the rice fields and the sea. Within walking distance of the villa the well-known SingSing waterfalls are located. They are reachable by foot via a hiking trail within 10 minutes from the villa. 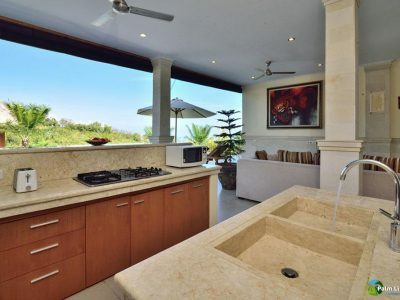 It is a beautiful and peaceful area where you will find much privacy. 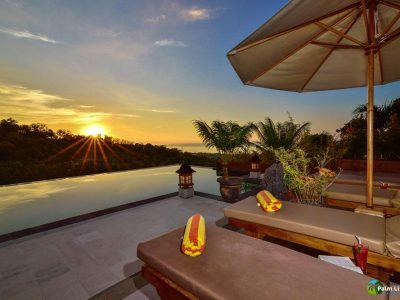 Villa Oscar is a spacious villa that exudes the real Bali atmosphere. 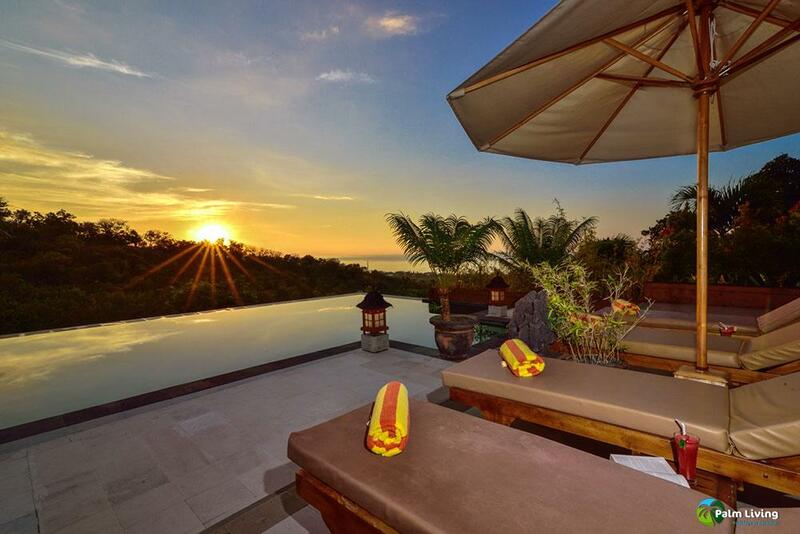 The villa is designed to enjoy the most of the Balinese outdoor living. 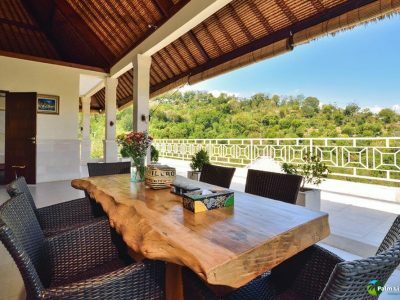 The front part of the villa is kept entirely open to be able to enjoy the fantastic view and the breeze for natural cooling. 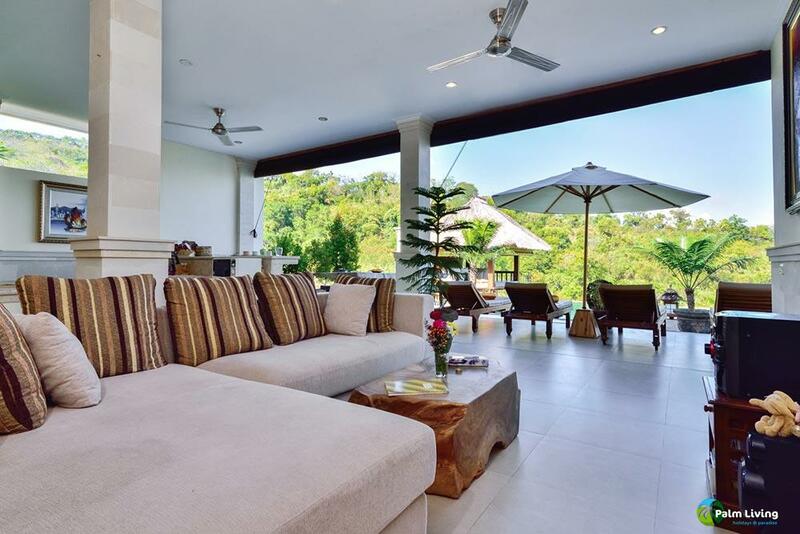 The open-plan living area on the ground floor forms one whole with the terrace, the swimming pool and the garden. 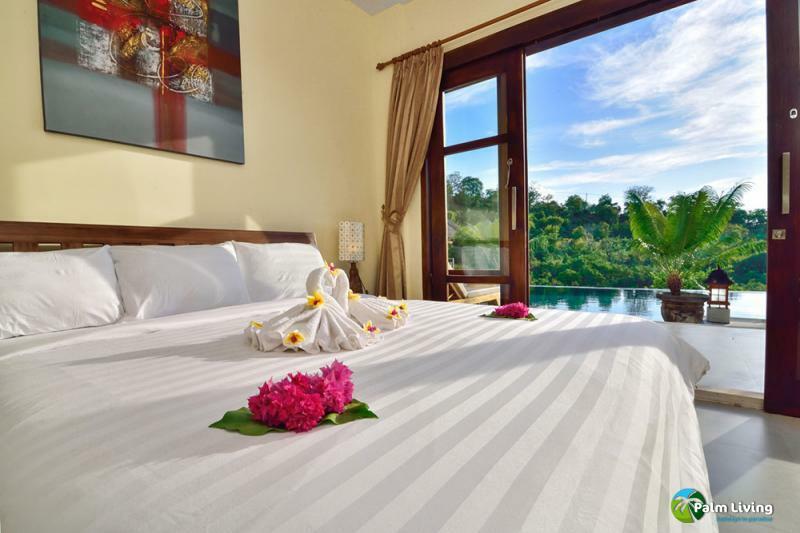 The villa offers several seating areas to relax every moment of the day. On the first floor is a large porch with a sitting area and a second living room that has sliding glass doors. This living room with air conditioning has also a flat screen satellite TV and DVD player. On the terrace surrounding the pool there are sunbeds and parasols. 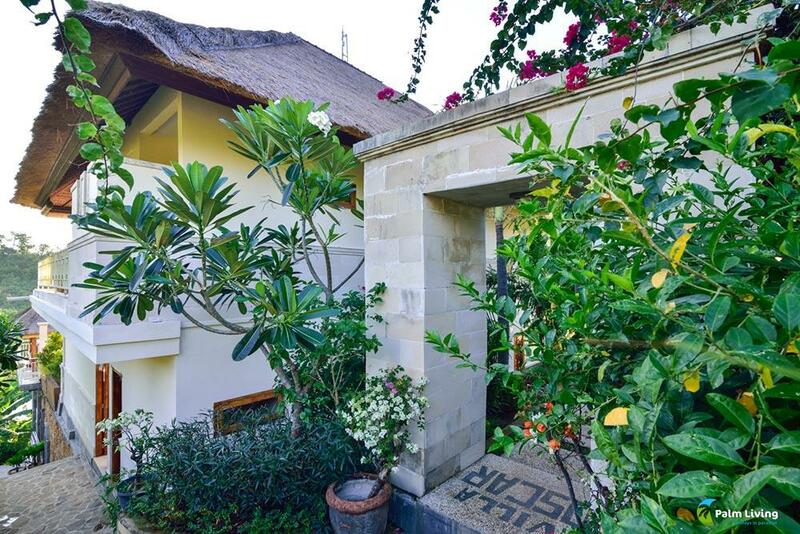 And of course the bale benong next to the pool is not missing! 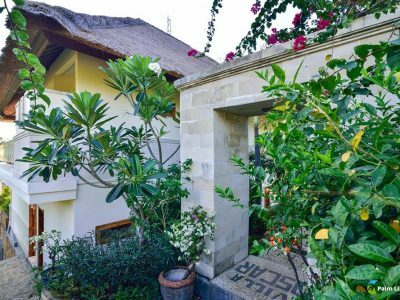 This typical Balinese open rest house with a thick mattress and lots of pillows allows you to experience the ultimate in relaxation. It is the perfect place to relax with a book, a drink, listen to music or enjoy the great views. Also in the evening when the sun disappears with a red glow into the sea and the sky will be filled with thousands of stars. The sunset on this coast is magnificent! 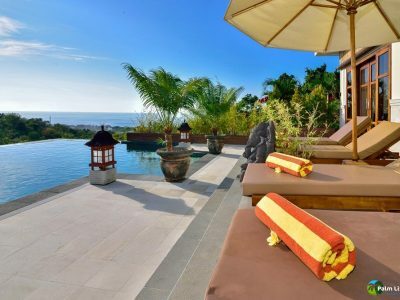 The villa is surrounded by a beautiful and large tropical landscaped garden (1350m2) with palm trees, fruit trees and flowering plants throughout the year. 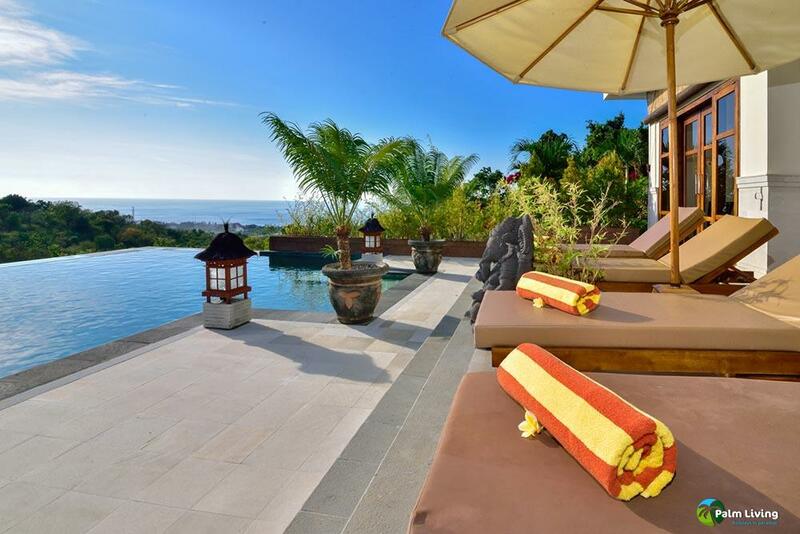 The villa has a very large infinity pool of 66m² in which you can swim laps. The pool has an “overflow” to the sea side making it seem as if the water flows into the surroundings and the sea, this is a beautiful view! 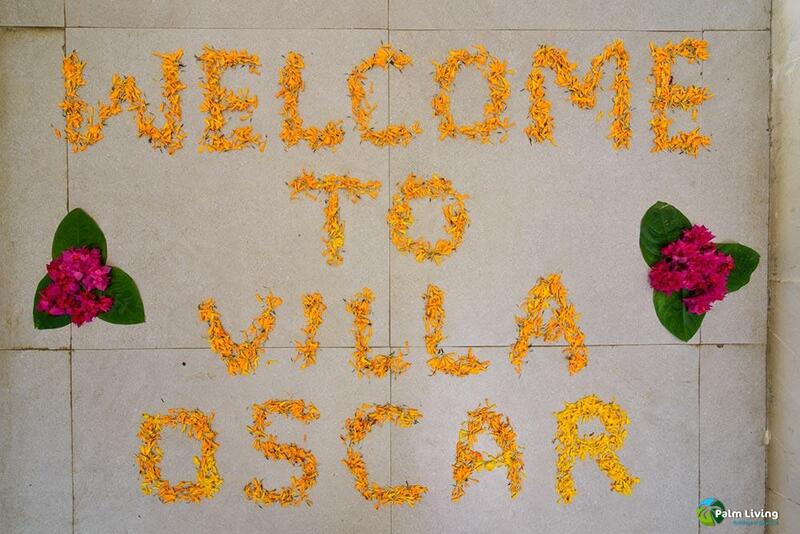 Villa Oscar is tastefully furnished and suitable for up to 6 people. 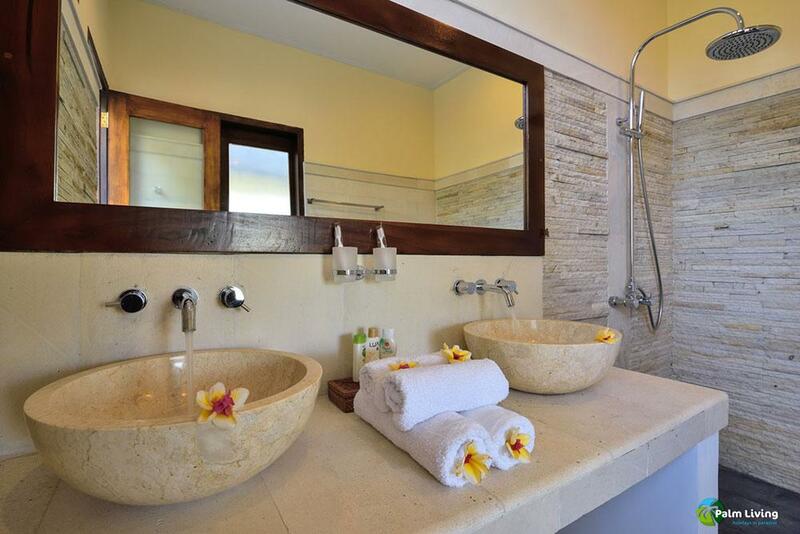 Many natural materials are used such as teakwood, natural stones and granite. 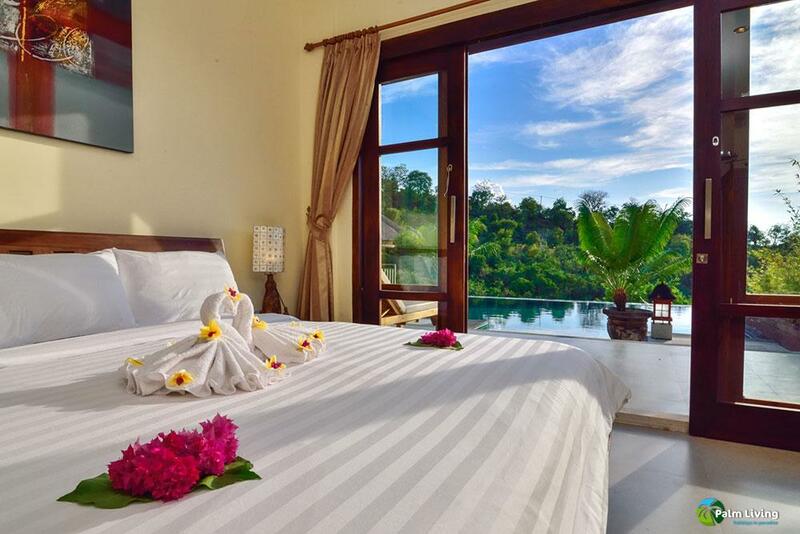 The villa has 3 spacious and nicely decorated bedrooms. 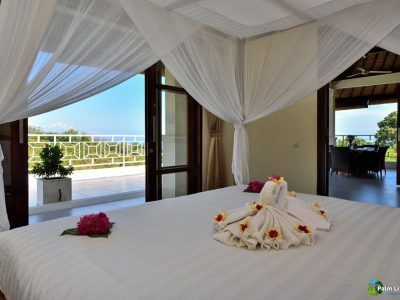 Each bedroom has a private bathroom, king size bed, wardrobes for your clothes and air conditioning for a comfortable temperature. 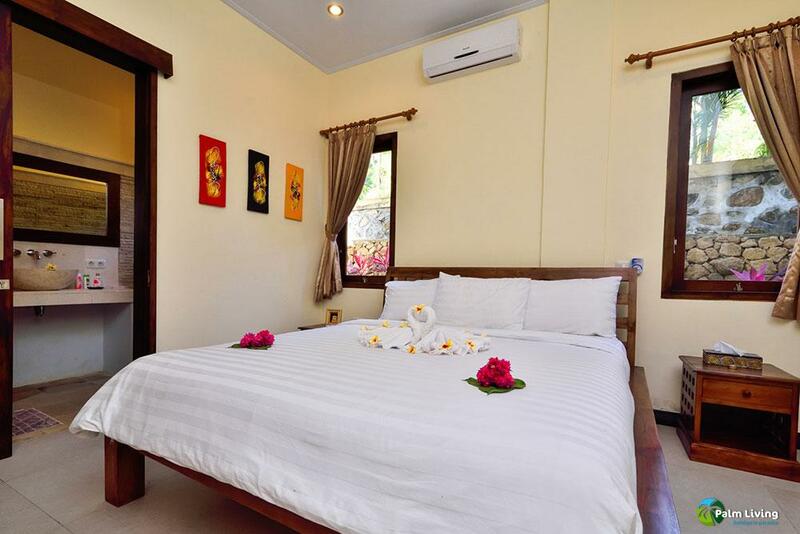 Two bedrooms are located on the ground floor, 1 bedroom is on the first floor. 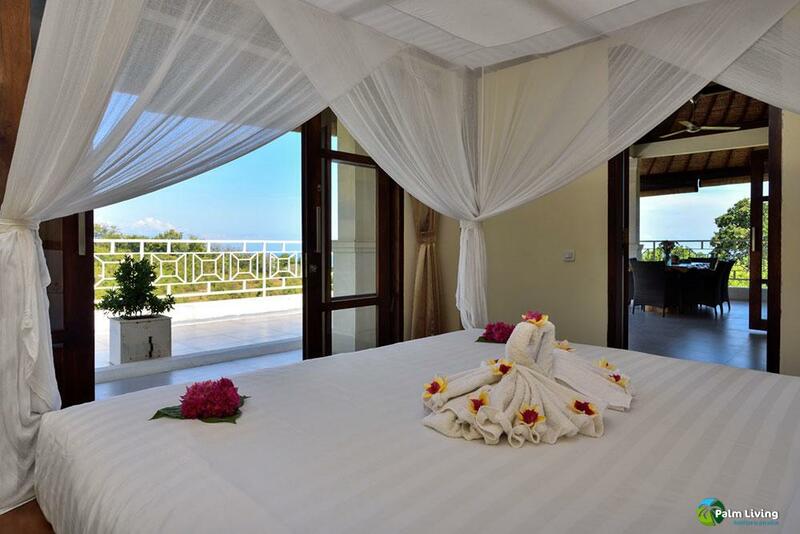 All bedrooms have a king size bed. We can place in any bedrooms a baby cot if required. 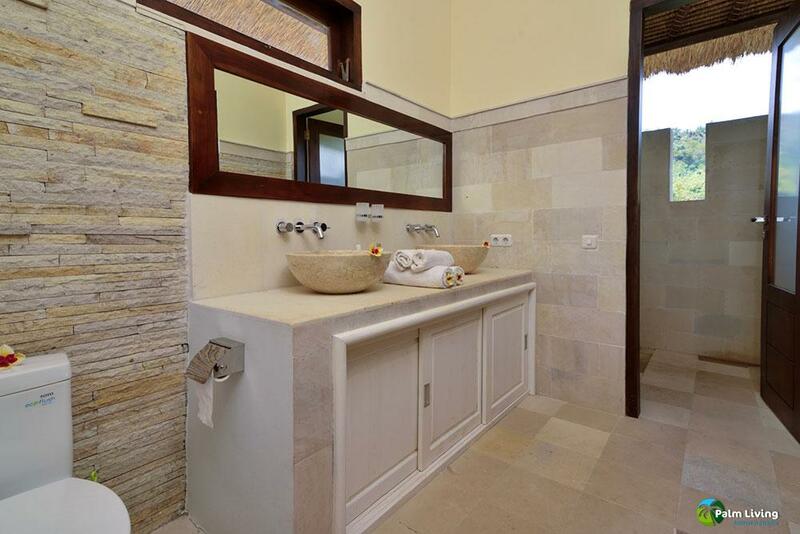 The 3 bathrooms are made in Balinese style with natural stones. 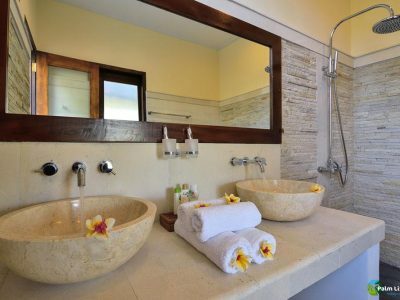 All bathrooms have a rain-shower, toilet and washbasins. Two of the bathrooms have a so-called ‘open air’ shower. 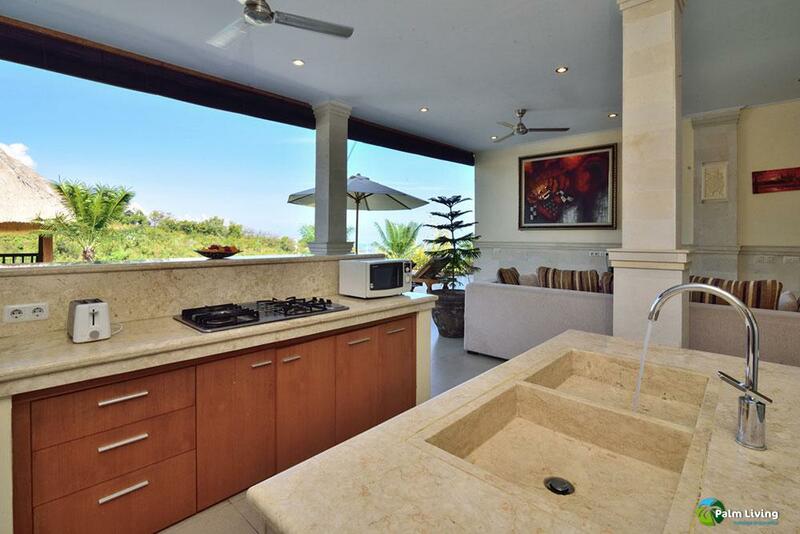 The ceiling is partly open allowing you to enjoy a shower in the open air. 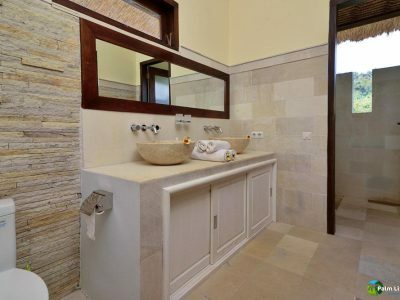 One of these bathrooms has besides the ‘open air’ shower also an ordinary shower. 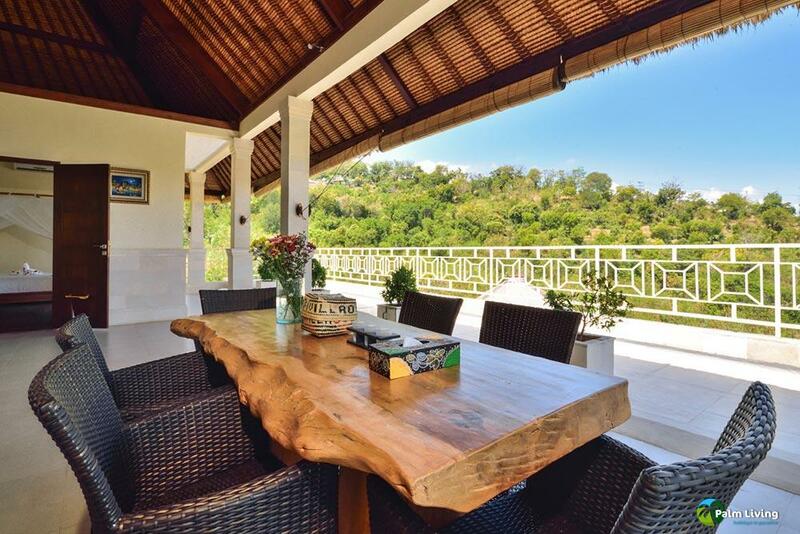 Under the high roof, that covers the first part of the terrace, you can enjoy your meals at the large dining table of teak wood. Also on the covered terrace you find a seating area with a lounge set to relax and to enjoy the delightful evenings. 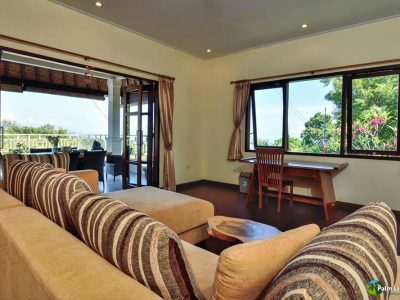 The living area goes over to the open plan kitchen which is equipped with all necessary appliances including a refrigerator with freezer, gas stove, microwave, blender, rice cooker, toaster and a water dispenser for hot and cold water. Next to the kitchen there is also a utility room with washing machine and a guest toilet. 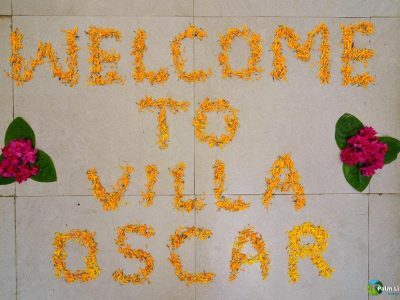 Furthermore, the villa is equipped with all comforts such as free Wi-Fi Internet, a flat screen satellite TV, a DVD player, stereo device, movies, books and a safe deposit box to store your personal belongings.